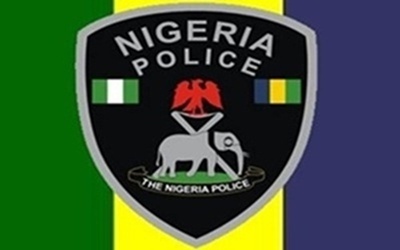 The Police Affairs Minister, Caleb Olubolade said on Tuesday that to combat the recent challenges of insecurity, terrorism, and kidnapping in the country, the Nigeria Police is set to be professionalized. Mr. Olubolade, who stated this while presenting the ministry’s scorecard in the last two years to the national leadership of the Peoples Democratic Party, PDP, in Abuja, also demanded for more funds to help the ministry carry out its plans to reposition the police. The minister, a retired Navy Commodore, explained that his focus as a minister is to provide adequate and updated training for the police personnel. “We have to look at the police intelligence gathering and training which is key to our focus in this administration. Police must be given enough equipment and be protected with bullet proof vests for them to carry out their assignments,” he said. He also stated his ministry’s plan to “raise the bar” by recruiting into the police, degree holders especially those with backgrounds in the sciences. “Fighting crimes is scientific and we must raise the bar. That is why we must raise the qualifications of those who are coming to direct the affairs of the force,” he said. The minister said the Police Service Commission, PSC, will take advantage of the huge experience of its new Chairman, Mike Okiro, a former Inspector General of Police, in the management of the affairs of the force. Mr. Olubolade also stated that police is looking towards strengthening “the concept of community policing” in order to tackle criminal activities at the grassroots. He, however, ruled out the creation of state police, explaining that the force as presently constituted must be better trained and equipped before creating alternatives. “We must make the present arrangement work first. I’m of the opinion that the present police must be trained, their welfare improved and equipments provided to them and this is the direction of my opinion now until we are assured that we are better and ready for the state police,” he said. The minister disclosed to his hosts that 1000 Close Circuit Television (CCTV) have already been installed in Lagos and Abuja and are ready for commissioning by the president, Goodluck Jonathan. He added that the vice president, Namadi Sambo, had already inspected the cameras and confirmed they were working. Recruitment of more Policemen is good,t but well packaged capacity building is more important than more Policemen.In the package equipment maintenance is of paramount importance.Nigeria Police Force has no maintenance culture because most times their vehicles are abandoned for one minor fault.The Police service Commission should send artisans in Police Force abroad for training in the following filled, Mechanical,Panel beating,Painting & spraying,General Vehicle refurbishing, then for other arms of Police there should be constant workshops for both other ranks and Officers to imbibe on them how to treat the people they serve and at the same time achieve their goal.